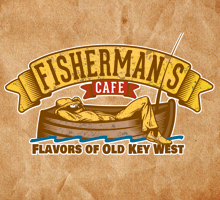 A new face for an old Key West classic; charming and nostalgic Fisherman’s Café offers locals and visitors delicious island favorites with a modern twist. Located on Elizabeth Street, on the Historic Seaport, this walk-up eatery is the rebirth of an old local favorite, where conchs came to swap stories and catch up on the news of the day. Stop in for a steaming cup of café con leche, a hearty breakfast sandwich or a succulent fresh caught fish sandwich. Located at the foot of Simonton street and overlooking the Key West Harbor, Lagerheads offers a wide water activities for all ages. Harbor rides, sunset cruises, jet ski and boat rentals are all available at the only beach in downtown Key West. Lagerheads also offers charters for fishing, snorkeling, dolphin watching, island and deserted island tours. 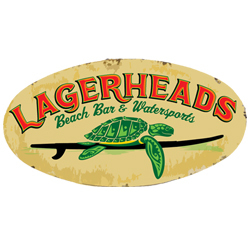 Let Lagerheads be your first stop for fun on the water. Located harbor side next to the A&B Marina, you will find the White Tarpon. They specialize in fine wine, spirits and beer but you can also pick up your basic vacation needs in their package and grocery store. 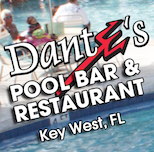 Sit in their cozy wine bar or under their covered courtyard overlooking the marina while sipping on one of their world famous Key Lime Pie martinis. Grab some oysters from the shucker or go inside and grab a fresh deli sandwich while the live music fills the air. Where the locals start their day with a piping hot cup of Café Con Leche and egg sandwich, the Cuban Coffee Queen serves up the hottest, most authentic Cuban Coffee, but they also serve delicious food. From fresh roasted Mojo pork to Havana rice and beans, the Cuban Coffee Queen has you and your appetite covered for breakfast, lunch and dinner. Located in the Historic Key West Seaport, just minutes away from Mallory Square. 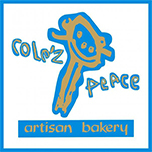 Offering pastries and artisan breads baked on the premises in traditional, Old-World style! Serving breakfast and lunch sandwiches made to order, don't forget to ask about their daily soups! Sip on some Island Joe’s coffee, plus tea and cold drinks are available as well. Offering a great selection of gourmet cheeses perfect for any occasion. A Key West institution that has been featured on the Food Network, Kermit’s Key Lime Pie Shop is the place for all things Key Lime: Key Lime cookies, Key Lime Pie, Key Lime Salsa, Key Lime Chutney, Key Lime Taffy, Key Lime Jelly Beans, Key Lime Tea, Key Lime Olive Oil, and so much more! There is something for everyone and for every cooking need. Just off Duval Street, try some free samples, and leave with a Key Lime treat. You don't need to go far to find the prefect fish sandwich! Don't let the look fool you, this hopping little open-air shack turns out fresh food with zero fuss! Haven't tired their cracked conch sandwich nestle between fresh Cuban bread and some key lime mayo? 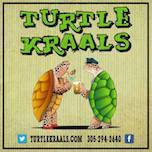 Join them for live music on Fridays nights. Located right at the Historic Seaport. The Commodore offers elegant dining overlooking Lands End Marina and offers beautiful views of Key West’s perfectly blue ocean. 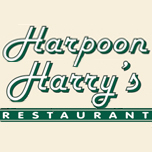 Enjoy delicious seafood and mouthwatering steaks while watching the ships go in and out of the seaport. Or enjoy a quieter, more intimate view of the marina over a glass of wine and one of their decadent appetizers. The Commodore is also a perfect location for private parties, both causual and formal. Since 1947, the A&B Lobster House has been serving and providing the ultimate experience in luxurious seafood dining! Offering a selection of fine steaks, locally caught seafood and lobsters, the A&B Lobster House features a full wine menu for a perfect fusion of dining flavor. After dinner, sample the finest cognacs, dessert wines, handmade cigars and specially crafted martinis at a local’s bar—Berlin’s! This is the ideal place for fresh local seafood and choice cut beef that can be perfectly paired with a great selection of boutique wines and original martinis. 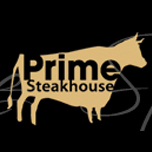 Prime 951 is known for their traditional style of steak on cutting boards with sides of roasted garlic and authentic steak sauce. Prime 951 offers an elegant dining experience in the heart of the Historic Key West Seaport. 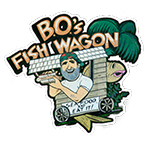 A truly local joint with delicious food and friendly staff. Breakfast with homemade biscuits is available all day long. Their lunch menu is full of homemade meal selections… Blueplate specials, half-pound hamburgers, all kinds of wraps, hot chili, soups, and salads. Don’t forget about their southern selection of desserts. Full bar and for music lovers, open mic night every Monday. Located in the Historic Seaport District. There’s something unique about their Coffee House, whether its the smell of the fresh ground coffee beans, the sound of milk frothing, or just this quaint coffee house located on Caroline Street at the historic seaport .Their roomy establishment provides the perfect spot to visit with friends,along with the addition of art made by local artists. Now serving a lite lunch and a lite breakfast menu and snacks, come right in and enjoy a fresh cup of joe! 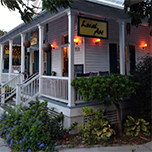 Alonzo’s Oyster Bar offers casual waterfront dining overlooking the exciting Key West Bight. Alonzo’s features the largest selections oysters in Key West which can be shucked, baked, or batter dipped to your liking. In addition to their amazing selection of oysters, Alonzo’s menu features an extensive selection of seafood. Couple your meal with the perfect drink or choose from Alonzo’s extensive wine selection, full bar, and daily drink specials. Local's and visitors have fallen in love with their warm fresh loaves of hand-crafted breads baking in their hearthstone oven. Offering a selection of memorable sandwiches for a meal or carry out. Pair your sandwich with a freshly homemade soup or side dish. Baking fresh bread daily open Monday through Saturday and closed on Sunday. 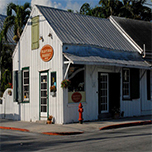 Coined the "Last Little Piece of Old Key West, " it is located in the heart of the Historic Seaport on the water. 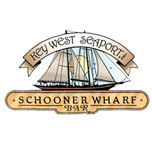 The Schooner Wharf offers you and your dog a great place to drink, eat and watch the beautiful tall ships come and go. Charles Kuralut called the Schooner Wharf, This must be the center of the universe.” Once you visit, you know why.